Where to Buy Lebanon Eagle Fungicide, Lebanon Eagle 0.62G Fungicide Granules - 25 Lb - $69.95 for Sale with Fast Free Shipping! 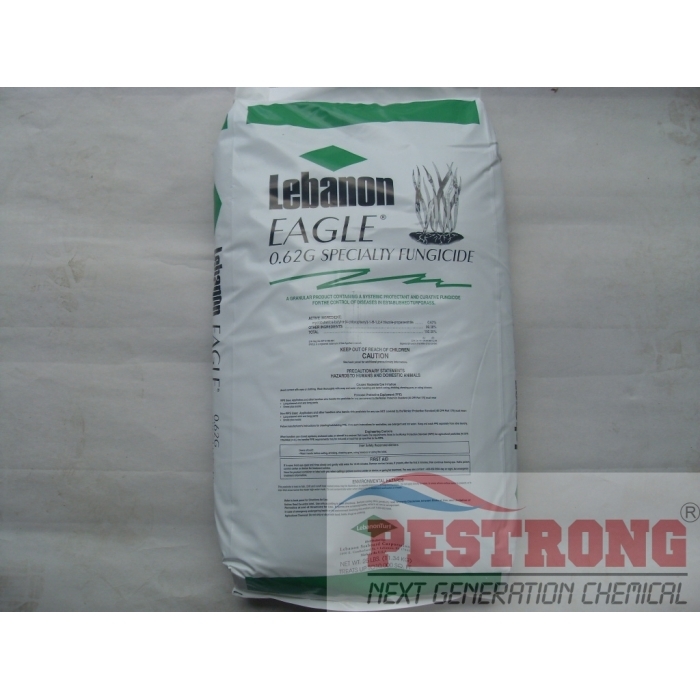 Lebanon Eagle 0.62G Fungicide Granules - 25 Lb is a systemic, protectant and curative fungicide recommended for the control of listed diseases in established turfgrass. Heritage G Granular Systemic Fungicide - 30..
sites include, but are not limited to: residential and commercial lawns, ornamental turfgrass, grounds or lawns around business and office complexes, golf courses (fairways, roughs, tees, greens), and sod farms. Last up to four(4) weeks. Works for more than 15 turf diseases including Brown patch, Copper spot, Dollar spot, Necrotic ring spot, Summer patch. Cleared up lawn within a couple of weeks. Great product.